Creative Wizard of Oz Games for your Kids Wizard of Oz Theme Party! 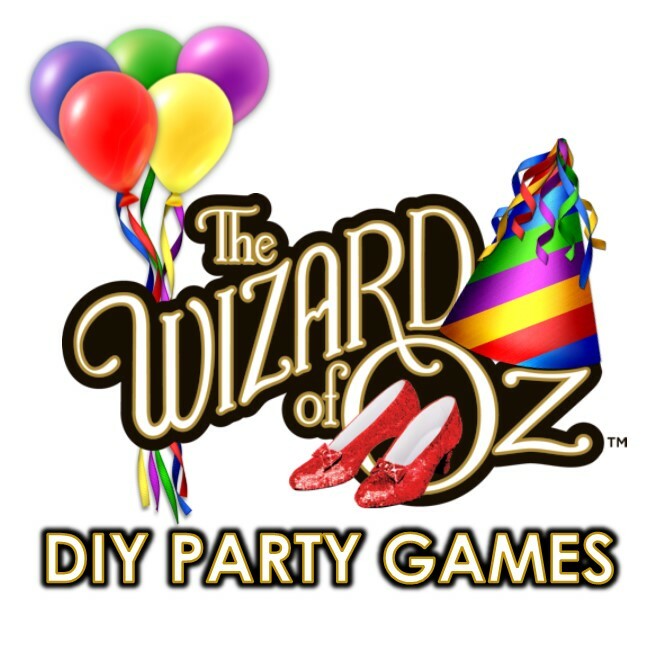 Need Wizard of Oz games for your wizard of Oz theme party?! 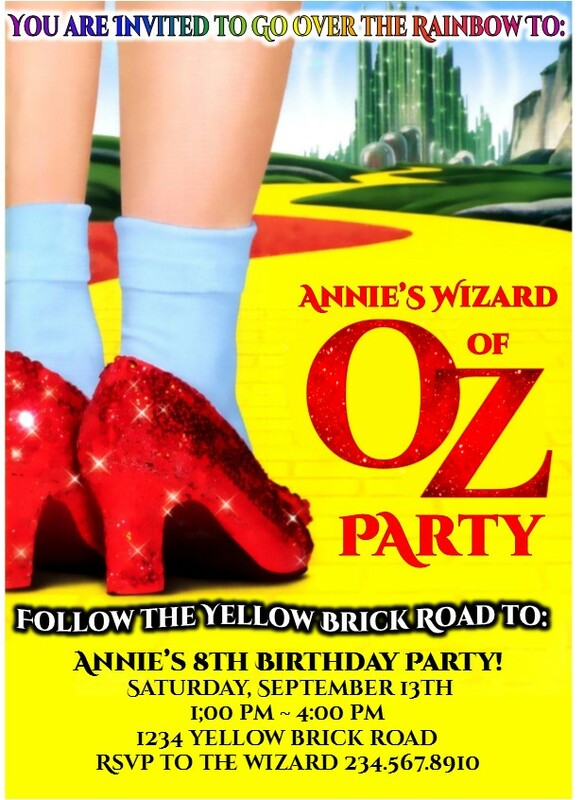 I am proud to share this fun Wizard of Oz treasure hunt idea for you to use at your party. 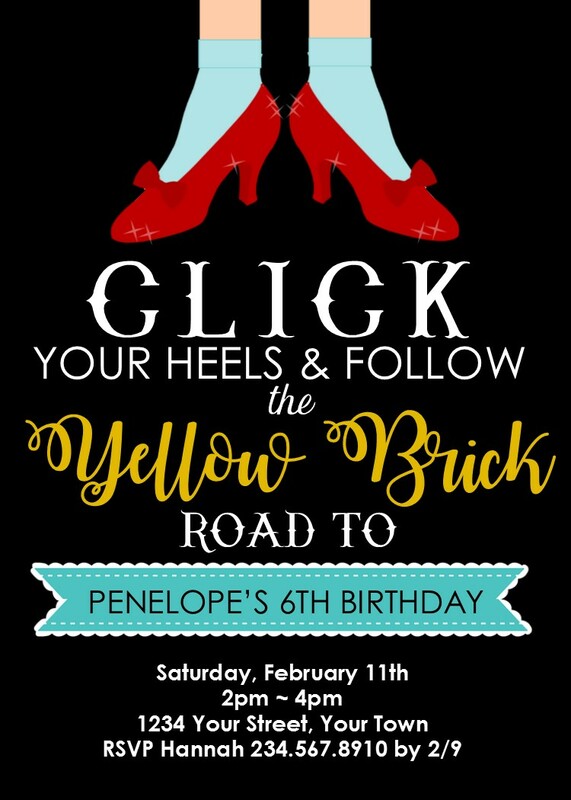 For every clue the children will have to play a Wizard of Oz theme game to receive the next clue. I put the games and clues in order of the Wizard of Oz movie. 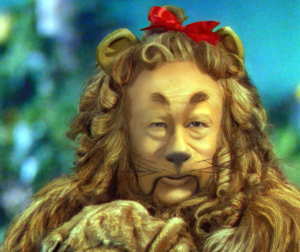 The first challenge will be from Glenda the Good Witch, then the Scarecrow, Tin Man, The Cowardly Lion, and then the Wizard of Oz himself. 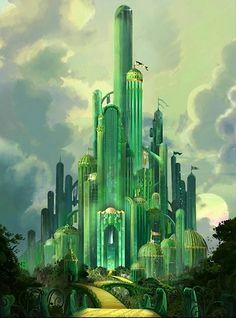 When guests first arrive at the party provide them each a green tub of play dough (you can even make your own salt dough if you’re feeling creative) and a paper plate to create their own Emerald City. You will also want to have things such as green craft beads, jewels, and other green doodads for them to decorate their cities with. For this game you will need balloons in many variations of colors - if you can have a different color for every guest that would be perfect. In each balloon have a different small prize (sticker, candy, etc). In one of the balloon you will hide the ruby slippers. The ruby slippers can be a picture of the ruby slippers or if you are feeling crafty, a pair of barbie shoes painted with red glitter. To play the game have all the children sit in a circle. Give each child a balloon to hold to start the game. When the music starts the children pass the balloons around in a circle. When the music stops each child must grab a balloon. Call out a color (any color of balloon except the one with the ruby slipper inside). Whoever has that color balloon may pop it and see what's inside. 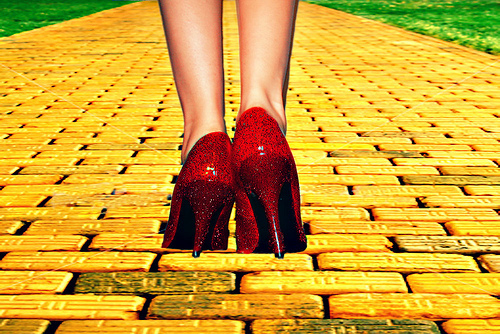 If it's the ruby slipper they win the game, if not they can keep the prize inside anyway. Decide before the game whether children will be out after popping a balloon or if they can continue playing. Start the music up again and play another round until all balloons are popped. Call out the balloon that has the ruby slippers in them last to end the game. Perhaps provide a special prize for the child that finds them. This game is a simple twist on pin the tail on the donkey. Buy or create a life size Tin-man and have it pinned on the wall. Draw a place in the center of his chest where his heart should be. Provide each of the children with a red paper heart and have them step up one at a time and try to pin their heart on the tin-man while they are blind-folded. Whoever is closest when everyone has had a turn wins. 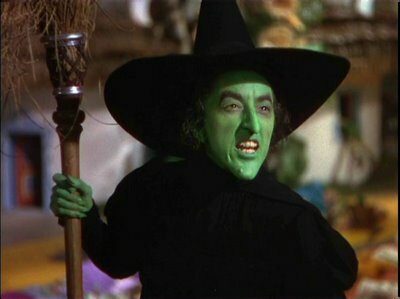 To play this game you’ll need a fun spirited adult volunteer to play the part of the Wicked Witch. You will also need to prepare a large amount of water balloons (or use water guns) Challenge the children to hunt down the Wicked Witch and soak her down. Arm the witch with a bag of candy, Every time a child soaks her with a balloon, she will stop and throw out some more candy. Then she can make her escape again while they are collecting it. When all the candy is gone she will finally throw down her bag and run away for good. For this game you will need a bundle of yellow yarn. You want to create a path of yellow yarn that the children can follow - the longer the better. You can go up and around things, have them go through and over things, basically follow the yarn wherever it leads. Have a prize waiting for them at the end - maybe some green emerald city cupcakes! 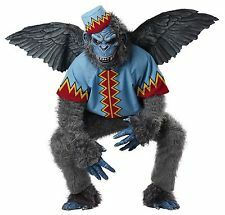 Print or draw five images of a flying monkey and attach them to empty two liters. Line the five bottles up on a table outside and challenge the children to knock as many as they can down by hitting them with an apple. Provide the children seven apples and let them take turns standing behind a line several feet away from the table and throwing the apples. Provide small prizes if you wish. For this game you will need a large piece of cardboard that will completely cover a door. On the outside of the door paint a tree and include cut out a fist-sized hole in the trunk. Cover the hole with black construction paper with slits across that will prevent guests from seeing inside the hole but will allow them to stick their hand inside. Place the cardboard creation in front of a door frame and have an adult sitting on the other side. Tell the kids if they are brave enough to reach their hand in they might get a treat from the tree munchkin that lives in the tree - but if the munchkin is in a bad mood he might instead try and give them a trick. Have kids take turns sticking their hand in if they dare. Give treats out to some, but every few have the adult grab their hand with a roar, or put an ice-cube or spaghetti noodles in their hand instead. You can have the children try a few times each. You may want to have some sort of signal to the adult behind the cardboard so that every child can get a trick or a treat. Hang a hula-hoop from a tree outside - it should be about six feet off the ground. Challenge each child to see how many bubbles he or she can get through the hoop in one minutes time. Provide each child with a bottle of bubbles (can double as a favor) and let them take the challenge. The other children can be blowing bubbles in a different part of the yard while they wait their turn. Purchase a hay bale and loosen in up in a pile in your back yard. For every guest you plan on inviting mix 50 pennies into the hay - so if you have 10 guests hide at lease 500 pennies. Challenge the children to find as many pennies as they can within 10-20 minutes. The player who finds the most pennies wins a small prize. 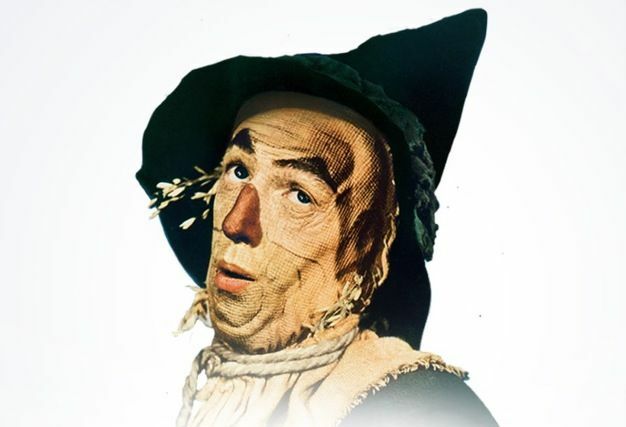 OPTIONAL: Afterward you can use the hay and some old clothes and challenge the kids to create their own scarecrow. INSTANT DOWNLOAD - EDIT WITH YOUR DETAILS! 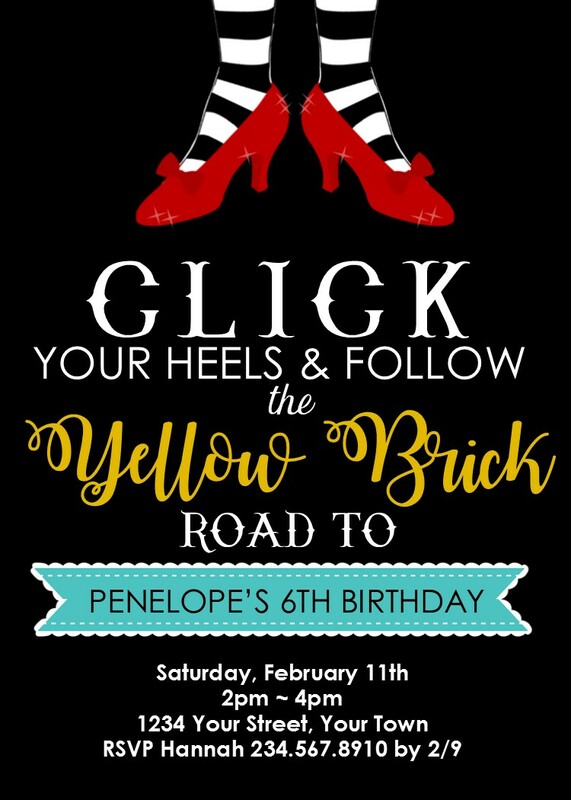 Our Wizard of Oz editable invitations comes in a PDF file that includes 2 (5x7) invitations per page. You will need Adobe Acrobat / Adobe reader to view and edit. This comes already installed on many computers, but if you don't have it you can download it for free at adobe.com. Once you open your file you can edit the text easily by clicking on the sample text and replacing it with your own. After you are finished personalizing your invitation simply print and cut. They are ready to be delivered!